Jimmy Garoppolo (10) has used his first year in the NFL as a learning experience, leaning on Tom Brady for advice. PHOENIX — Jimmy Garoppolo hates losing, and the Patriots’ rookie quarterback remembers all four championship games he’s ever been a part of. They were in elementary and middle school. On Thursday, Garoppolo recalled his record in those games — two wins, two losses. The two wins were in basketball and baseball during middle school. He cringed at the thought of the two losses, presumably in football, but that’s uncertain because the competitor in him refused to say. Garoppolo didn’t have to soak up any competitiveness from the fiery Tom Brady. He already had that covered. For the most part, the majority of Garoppolo’s season has been an all-encompassing learning experience from one of the greatest quarterbacks to play the game. On Sunday, he faces the final test of the season. Garoppolo likely won’t play in Super Bowl XLIX against the Seahawks, but he will be prepared to step in at a moment’s notice if needed. “Being the backup quarterback, you’re one snap away. 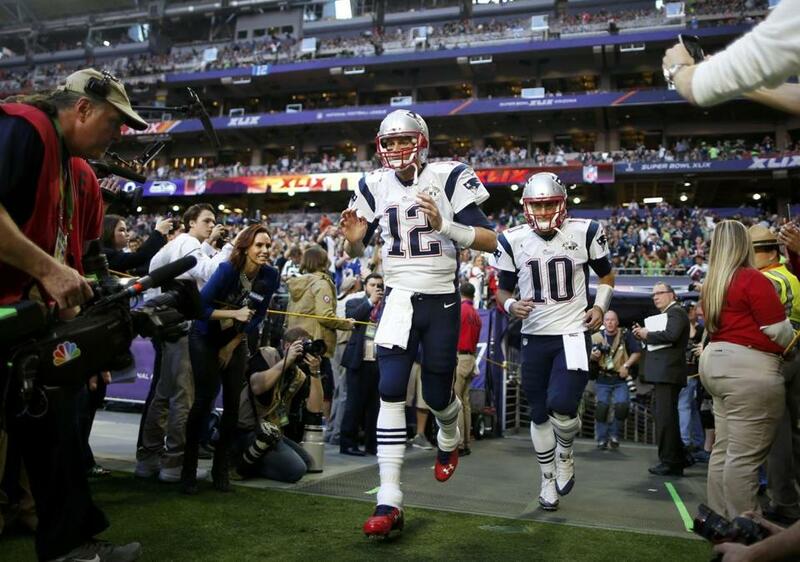 You’ve got to play like that,” Garoppolo said. Offensive coordinator Josh McDaniels was asked about the relationship between Brady and Garoppolo on Thursday. He needed only two words to sum it up. The biggest key, according to McDaniels, is that Garoppolo hasn’t acted like the pesky little brother. “Jimmy’s had a great attitude and tried to digest as much information as he can, and Tom’s been incredibly available for Jimmy,” McDaniels said. “To watch a guy in his 15th year prepare to be the best player he could be, but also care enough about a young player to try and help him improve every day, it’s really an unselfish thing to watch happen. Garoppolo acknowledged that he probably won’t get on the field Sunday, but that hasn’t spoiled the experience for the rookie, which started the moment the team landed in Arizona last Monday. Anthony Gulizia can be reached at agulizia@globe.com. Follow him on Twitter @AnthonyGulizia.